Everyone likes a comeback and Ben Affleck has certainly risen like the phoenix from the proverbial ashes in his most recent projects, not only as an actor but as an accomplished director too. 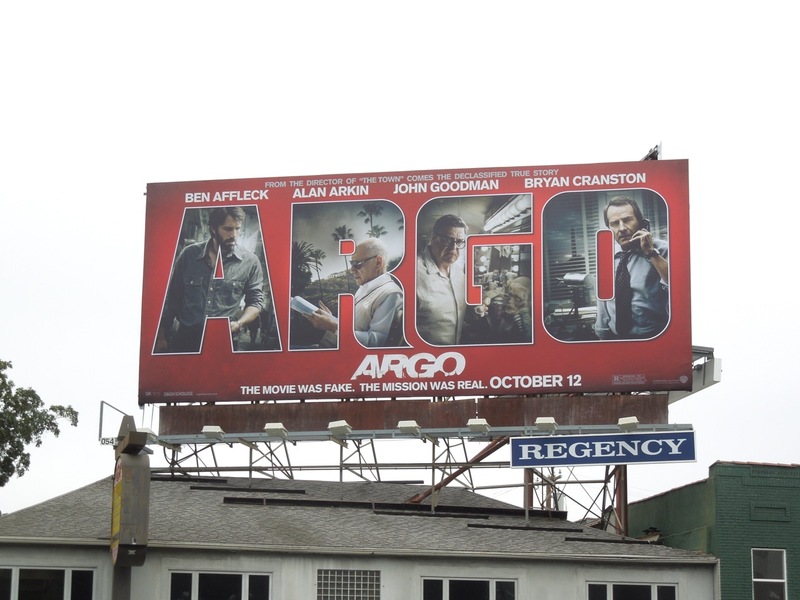 After box office and critical flops like Gigli, Paycheck and Jersey Girl, he's been making a new name for himself with the likes of Gone Baby Gone, The Town and now Argo. 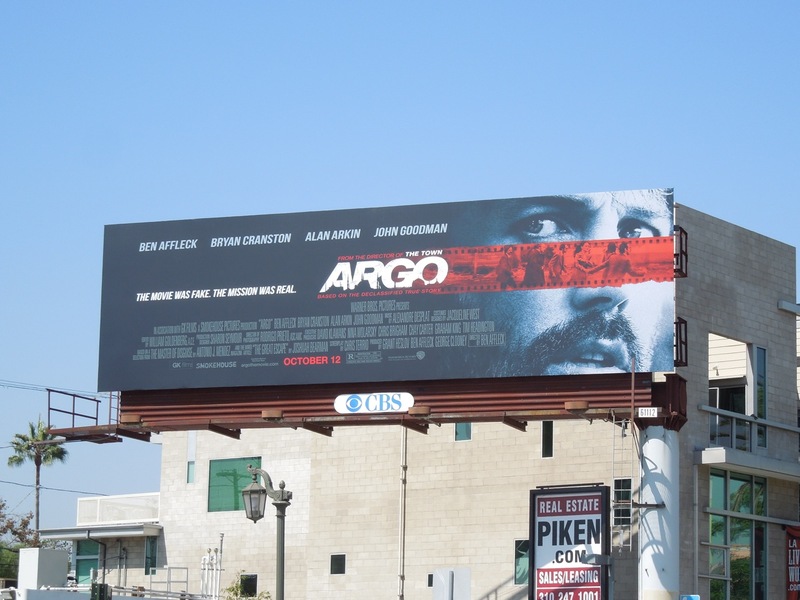 But then what do you expect from someone who's played Marvel's Man Without Fear himself, Daredevil. 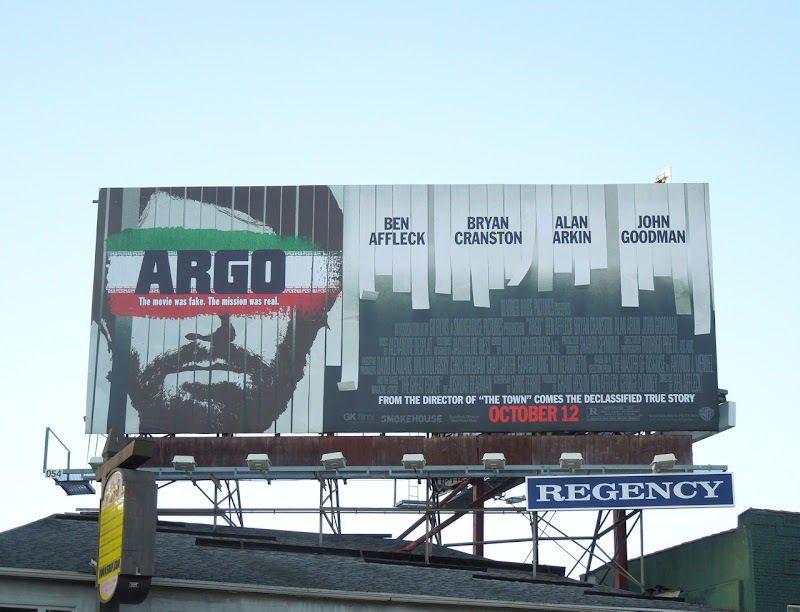 His new political drama Argo is based on true events and is the compelling story revolving around the 1979 Iran hostage crisis. 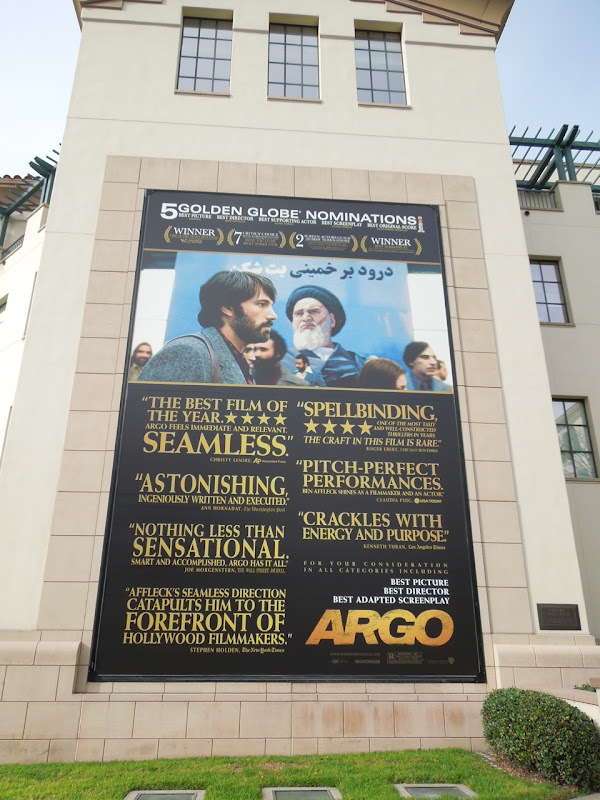 When the U.S. embassy in Tehran is taken over by militants during the Iranian Revolution, 52 Americans are taken hostage but six escape and are sheltered at the Canadian ambassador's home. 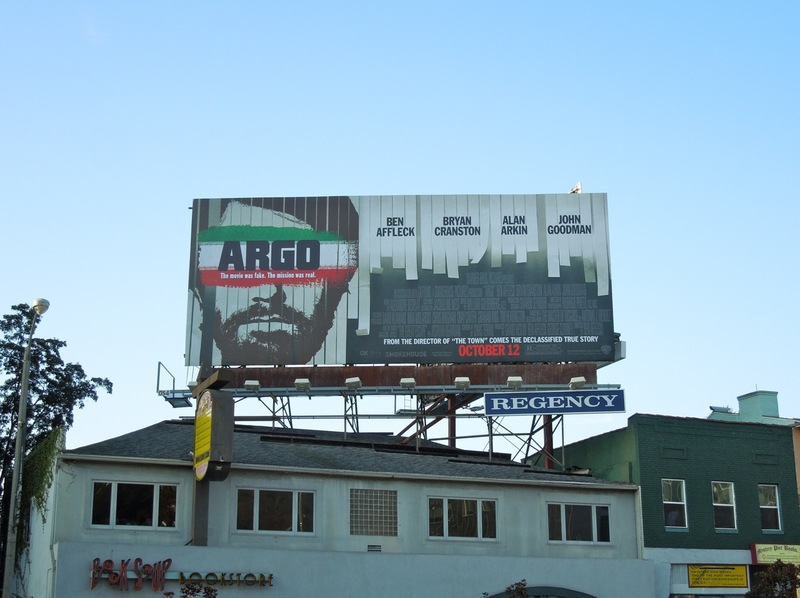 C.I.A. 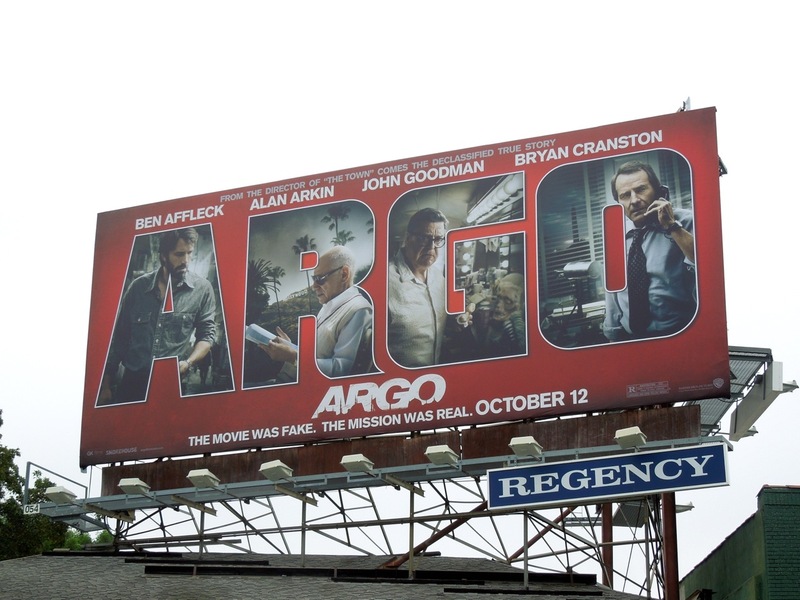 Agent 'Tony Mendez' (played by Affleck) puts together a risky plan to rescue the six Americans in hiding. 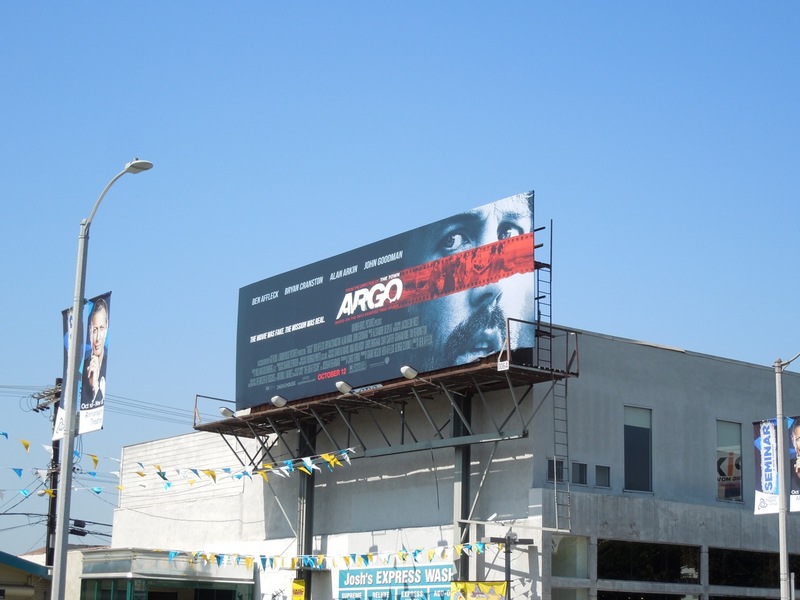 These billboards for the movie do a great job of conveying the themes of the tense political thriller and were snapped in various locations along Melrose Avenue, Sunset Boulevard and Beverly Boulevard on September 2, 2012. 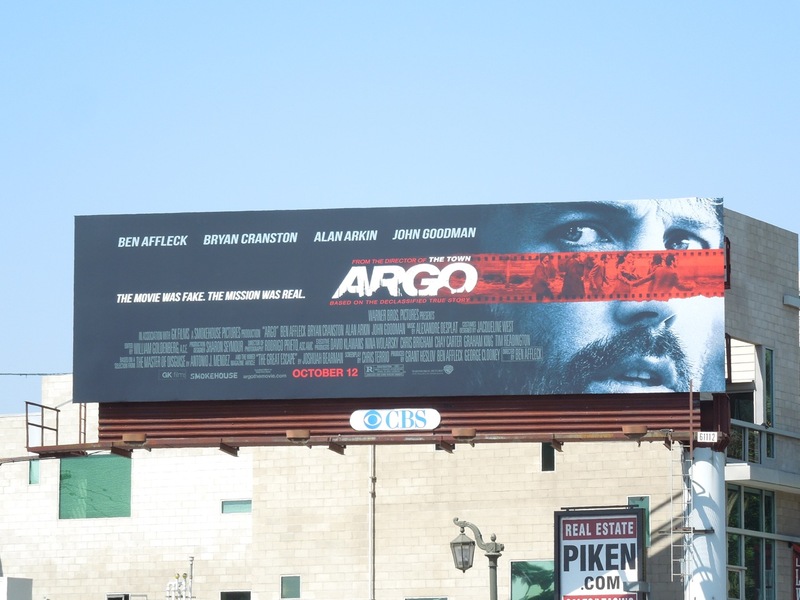 Be sure to also check out this movie billboard for The Town from 2010. 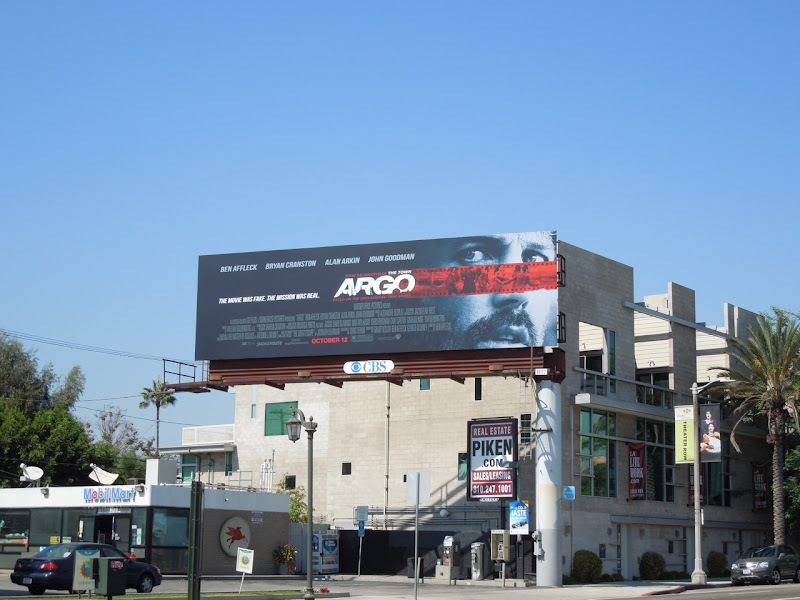 UPDATED: Here's another billboard for the movie that's receiving lots of positive buzz, in the same location along Sunset Boulevard on October 5, 2012. This creative does a nice job of showcasing more of the stellar cast the film boasts in a clever way. 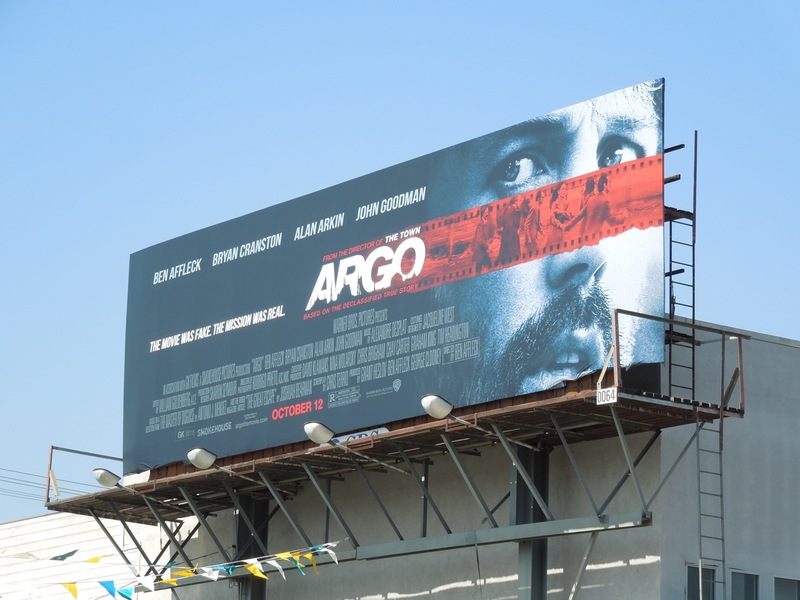 UPDATED: Here's an awards nomination billboard for the Golden Globe and SAG Award winning film snapped at Warner Bros. Studios in Burbank, California on February 2, 2013.